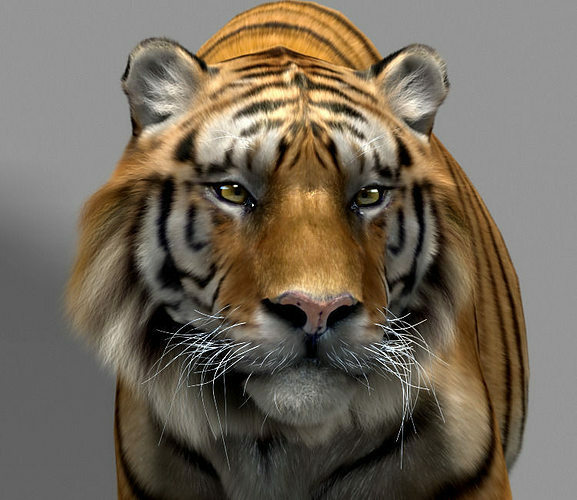 High Detailed Photorealistic Tiger, completely UVmapped and smoothable, made with 3Ds Max 2014 + Hairfarm+MOrphing The scene is just a walking animation. Scene: For faster rendering and stability. It is a basic scene divide into two scenes (Fur render and Vray render) BASE SCENE is: Tiger_fur2.max Materials in both stages are attached and the lights are the same. Textures make such a big difference! The designer had been most helpful as the format i had dienloaded did not suit my standard but he answered promptly. Now working on it! I am satisfied by the way he was available for help.